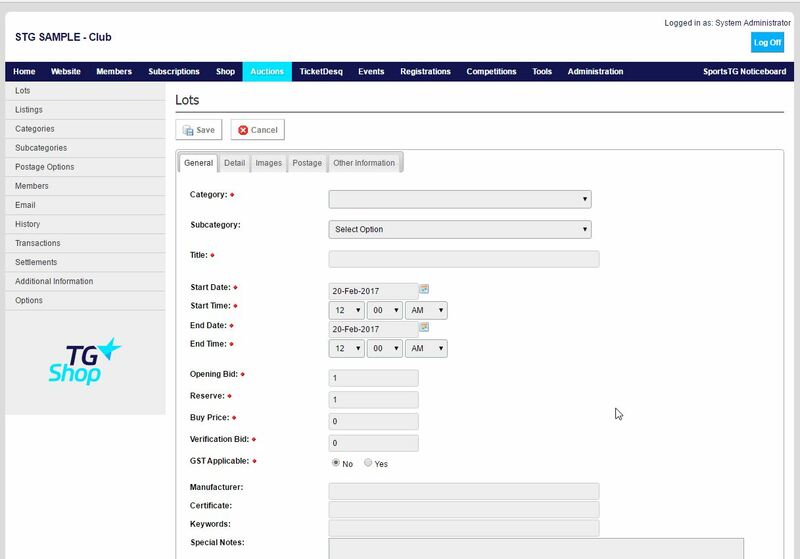 When adding an item for Auction, you first set it up in the Lots listing, allowing you to add items ahead of time before they are listed, as well as check over the information before you list the item. 2. Click Add at the top of the page and complete the details for the item. When completing the information for the item, make sure to include: Start Date and End Date for the item, and the Opening Bid and Reserve price, as well as including some detail on the item so that bidders know what they're bidding on. 3. Once you've completed all information for the item, click Save. When adding Auction Items, always include at least one image of the item that is up for auction to ensure that bidders have a clear understanding of what they're bidding on.